A LCD TV "Hidden" behind a two-way mirror in a Master Bathroom over the vanity. This can also be done in the Master Bedroom or elsewhere! 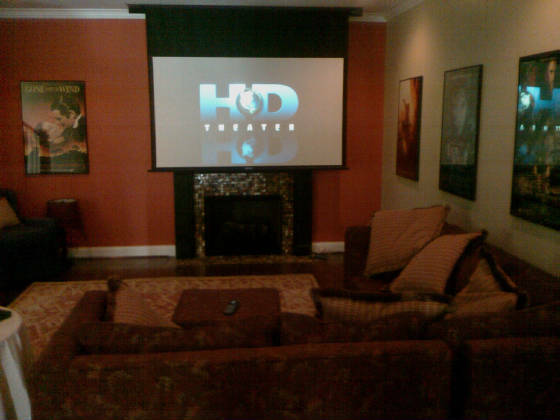 A 100" Motorized movie screen with in-wall speakers installed above in custom molding and trimwork. 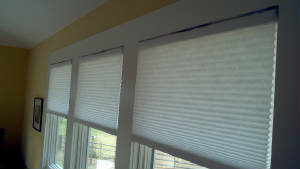 Lutron Honeycomb Automated Shades. Wired or Wireless versions are available. 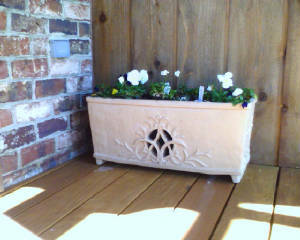 Rectangular Planter Speaker on a Deck. Holds actual dirt and live plants and sounds great! An LCD Flat Panel TV recessed into the wall in a Kitchen. A hidden, drop down movie screen and inwall speakers in a media room.